How does the COMET potting machine work? Do you run a small or large scale nursery or plant potting or potting-up operation? Would you like to TRIPLE your potting production and greatly reduce your labour costs? In the laborious task of potting, there are several issues with manual potting. Manual Potting can be a slow, labour intensive, not ergonomic, expensive and possibly a daunting job. Why use semi-automatic potting machines? Owners often remark that staff actually enjoy potting, and compete for numbers. Save in labour costs (wages for 2 workers) while doing a weeks worth of potting in just two days. 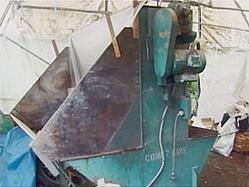 What is a Comet Potting Machine? The COMET potting machine is fast and efficient for filling bags or pots, it is a simple, robust and proven design that will withstand many years of commercial nursery operation. The Comet has very low maintenance and uses hi-tech materials to reduce wear and minimise noise. With an over 36 years proven track record, the COMET potting machine has shown to be a durable and reliable potting machine. Over 370 machines are now in active operation worldwide, the COMET has proven itself as a market leading potting machine. The COMET is an exclusive mix of the latest technology teamed with the heritage and pride of a family that has excelled in the field of engineering for over 50 years. You will always get superior after sales help from staff who are committed to both innovation and old fashioned service. 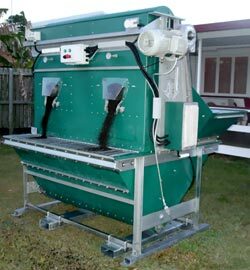 The very first Comet potting machine was made by Andersen Engineering in 1980 and is still in active service at a nursery in Hervey Bay, Queensland. Many early COMET potting machines are still in service after filling hundreds of thousands of pots. The proven design has been refined for over 50 years with practical suggestions from COMET owners and is now the most popular potting machine in Australia. 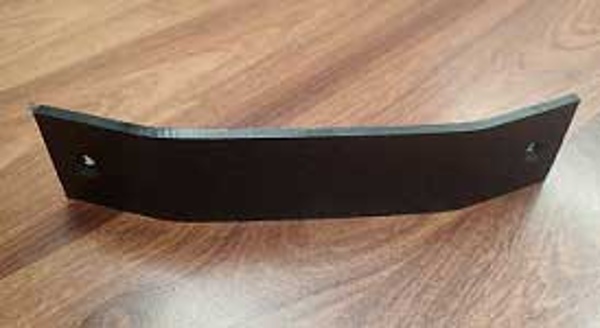 Treated steel support frame with a 1 m3 polyethylene hopper. Pot directly into containers from 50 mm up to 300 mm and larger, either pots or bags. Other options available to enhance your efficiency are rotary accumulation tables, self tracking trailers, pot lifters to save your back etc. Why Choose a Comet Potting Machine? 1. Reduce profit extracting expenses like staff sick days and staff injuries. Your COMET makes potting easier and less physically stressful. Easier on the back, arms and hands. 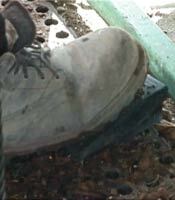 The picture allows potting at a comfortable waist height without stress on the operators back and arms. 2. Staff are now never daunted by large potting jobs again! COMET enable you to handle large potting jobs with ease . 3. 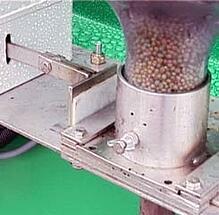 Large hopper sizes increase speed and efficiency of potting operation. The generous sized standard 1 metre cubic hopper (and extra big optional 2 metre hopper) mean you can pot a large number of plants before needing to refill the machine with potting mix. This means you spend more time actually getting plants potted in a day. The picture shows filling the Comet hopper with potting mix using a skid loader (note the heavy duty grille to exclude logs, bricks and careless operators). Why choose a C-Mac Comet Potting Machine? Very low maintenance: Heavy duty construction for long life with rust resistant polyethylene body (No corrosion or rusting of hopper). 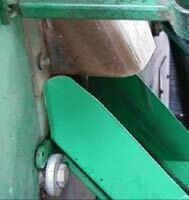 The use of hi-tech materials - Reduces wear on moving parts and provides a quiter operation of the soil elevator. 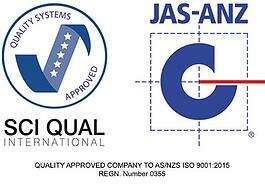 Australian Made and Owned with ISO 9001:2015 quality certification and traceability. 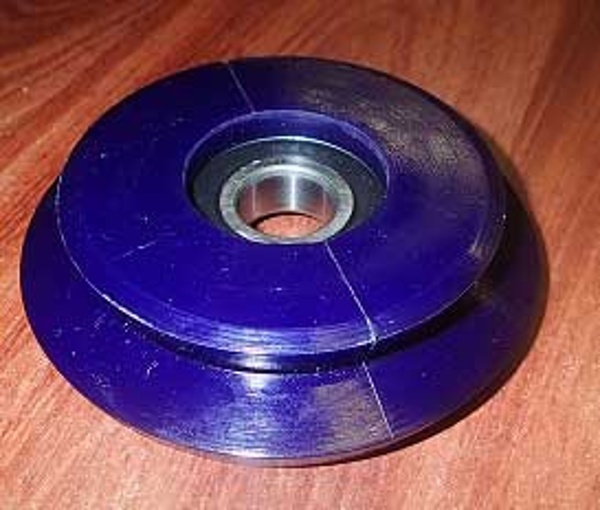 Note: (1) While getting spare parts for some imported machines can be costly and time consuming, C-Mac can supply you with affordable locally made spare parts fast. 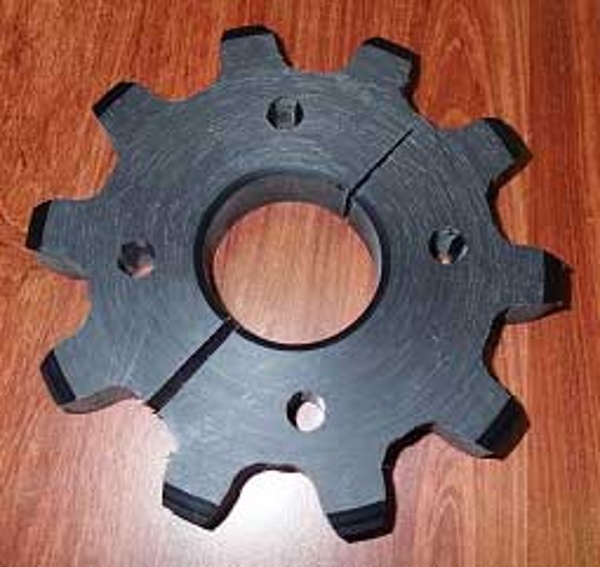 (2) With constant running, overtime the only major parts that need to be replaced from time to time are the elevator chains, sprockets and rollers. Our current COMET owners find chains last up to two years depending on the composition of the potting mix used. 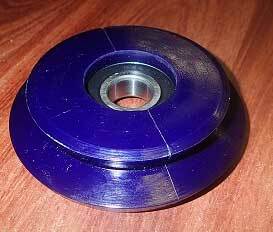 Chains, sprockets and rollers are easily replaced. Less weight - Main body is made from quality polyurethane which is light weight & doesn’t rust. Superior hopper design - Specially designed to suit potting media. Potting mix from the polyethylene hopper is picked up by a series of galvanised trays that are elevated by the operation of a heavy duty motor driving the dual sprockets fitted to the drive shafts. 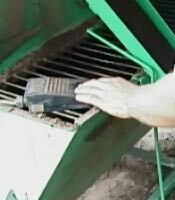 Fertilizer dibblers are available for direct application of a measured amount of fertilizer into the pot or bag, operated by a foot pedal (See below). Pot directly into containers from 50 mm up to large pots and plant bags. Pot any size tube, pot or bag quickly, easily and without root damage. Being able to adjust the flow rate of the potting mix is helpful with filling the smallest tube right up to the largest bag. Centre each plant and secure it quickly and easily without damaging the roots. No wasted setup time means you get right onto the job of potting immediately. Whether you've got a handful of plants to pot or thousands, the COMET is always ready to go. Even when you're changing from one pot size to another, there's no time consuming changes that need to be made - just adjust the flow of the potting mix with the turn of a knob. In fact, the COMET is so flexible, two workers can work side by side, potting different size pots at different rates. COMET keeps your potting area clean, organised and safe. 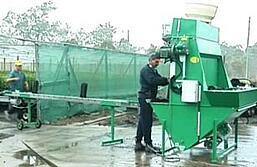 Your COMET recycles the potting mix, keeping the surrounding floor clean and safe for workers. No potting media wasted or contaminated. Compact, safe design fits neatly into most potting areas. Fill large pots quickly and easily with your COMET. 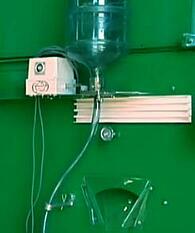 Just add the “large pot filling chute” to direct the potting mix flow into your large pots. The large pot chute is foot pedal operated and moves under the soil flow and directs the potting mix into the large pot. On release of the foot actuator, the chute moves away from the COMET allowing the continual flow of potting mix to be returned to the hopper. Large pots are much easier to handle and fill using the adjustable large pot stands - no more back breaking work holding large pots while being filled. The picture to the right shows the “large pot stands” and the foot pedal actuator rods that operate the mix chute to position it under the potting mix outlet, to then direct the potting mix into the pot. Right-hand side picture - Stands for filling large pots (note the clean work area). Pictures of "Chute activated to direct mix to large pots" vs "Filling chute"OFF". Increase plant growth consistency with COMET fertiliser dibblers (an affordable optional extra) to stop profit wastage because of uneven plant growth. For maximum profits, nurseries must fertilise every plant with the same measured dose of fertiliser. Inconsistent growth due to inaccurate fertilisation is a costly problem. COMET's optional fertiliser dibbler makes adding the exact amount of fertiliser quick and easy every time. Picture of COMET fertiliser container, feed pipe, and variable amount controller. 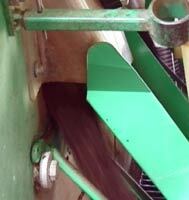 This image also shows the potting mix outlet chute with the mix feed rate control knob just above the chute. 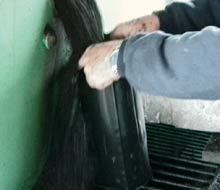 The variable controller sets the correct amount of fertiliser to be added to each pot. When the fertiliser pedal is activated (hand or foot), the electronic actuator opens the slide and releases the set dose of fertiliser into the feed pipe which is directed into the pot being filled. See pcitures below. 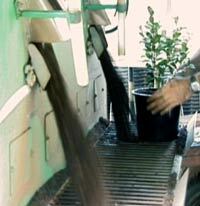 Hand operation of fertiliser activator for large pots. 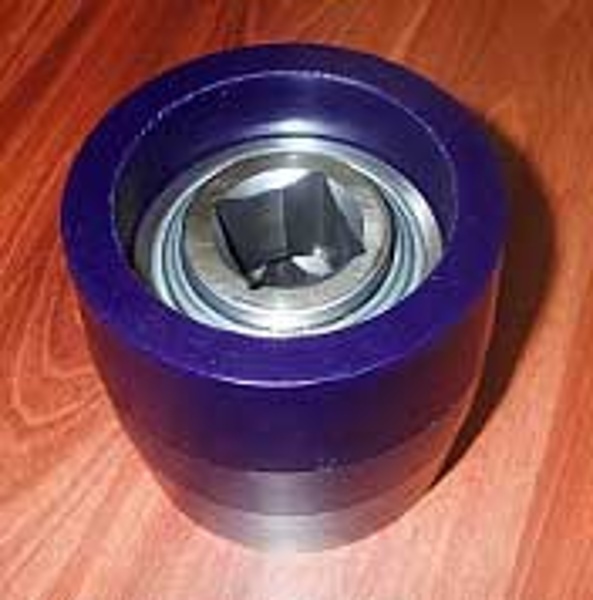 The performance of a COMET POTTING MACHINE cannot be stated in pots per hour. 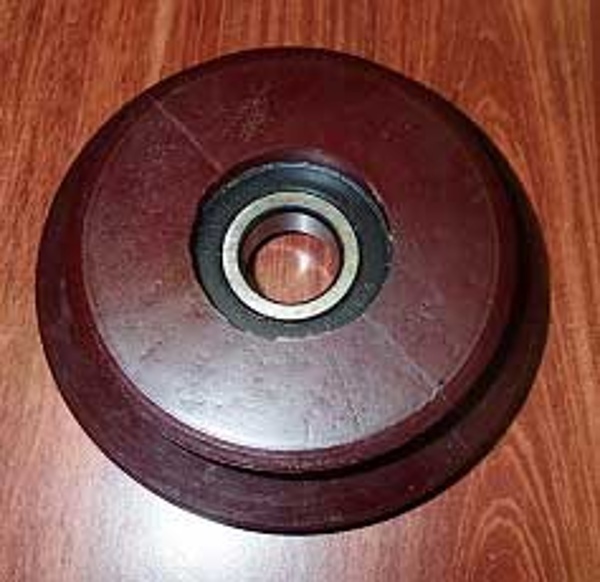 There is no conveyor or any mechanical apparatus that delivers a set number of pots per hour. Like any other good piece of nursery equipment, the COMET is a helpful TOOL which is only as effective as the person operating it. The only numbers that can truthfully be stated are numbers of pots per hour placed in the growing area, and as with all potting procedures. This is a team effort. The team may consist of one person or five persons. 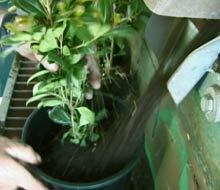 Handling of the crop is a larger part of the job than the actual potting of the plant in the container. The only way to obtain a true comparison is to quote some examples of actual performances from nurseries using the COMET potting machine. Another common statement is "I don't usually count numbers but we have doubled our output with much less stress." 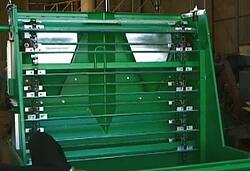 One well known nurseryman in South Australia said when he first used his new machine "It's fantastic! We used to pot a thousand tubes a day and now we pot a thousand an hour!" The performance of the potting team depends on the co-operation of the members and the availability and wise implementation of good materials handling equipment and techniques. It is generally accepted that although the concept is different, the total days production is similar whether a COMET is used or a more fully mechanised imported machinery is used. The capital outlay is less than half that of an imported machinery. The maintenance is simpler and less costly. As one nursery owner said "any man and his dog can fix it"
It Just received our potting machine on Friday and set up today (Sunday) and wow!!!! Are we pleased! Potted 600 perennials each in the first hour! Usually do 100 each. Many thanks for your great service. Very pleased with the quality and heavy duty nature of this machine. I'm sure we'll get many years use from it..... will outlast me I'm sure.. The staff member helping me today was also rapped.. It is the perfect machine for every nursery. Other machines are far too complex requiring too many people to operate them. We just found many benefits with the Comet, labour saving, it stands just at the right height, less stressful on the staff, anyone can operate it and anyone can fix it. I am more than happy with our Comet, it allows us to work at our own pace and saves our workers' backs. We can pot from one size to another which other more expensive potting machines do not allow. 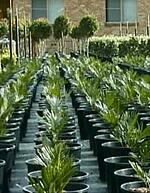 Currently we are potting 30,000 plants per year in 8", 10" and 12", with the majority being 8". The machine was purchased on 2nd October 1993 and has been doing a great job for us ever since. More time is now available for stock and nursery maintenance, potting schedules are more achievable resulting in greater efficiency and cost savings. The benefits to our small nursery have returned dividends more than providing for the lease commitments of the Comet Potting Machine. Worker compliance is excellent with insistence that all potting chores be completed with the Comet Potting Machine and the consistency of pot fill packing is easily repeatable. We looked all around Australia and found the Comet Potting Machine to be the Rolls Royce of Potting Machines. 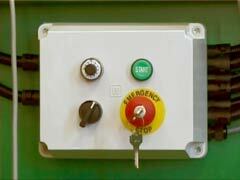 It is very quiet and easy to use - anyone can operate it. The Comet has taken the place of two people in our nursery. I am not so tired these days when potting and when I have finished I am looking for more. Nick and I are potting up at least three times more these days. We are happy with the machine and do recommend it to everyone. All I can say is that now we have had your potting machine in operation for 11 months, that it has surpassed all our expectation.As you are aware, we evaluated it's performance for 18 months before finally making the purchase and our confidence in your machine has really paid off. It has increased production, released staff into other areas of the nursery, lessened physical stress on staff and enabled us to increase productive nursery area without corresponding increase in staff.